Marialva (Rio) is a stunning coming two year old, from the top Portuguese blood lines. These bloodlines are recognized throughout Europe as competitive with the best Northern and Central European Sport Horses and are highly sought after in leading European breeding and performance barns. Rio truly represent the future of the Lusitano breed. His sire is the APSL Lusitano Champion: Soberano III. PSL Stallion of Merit and twice Champion of Champions at the National Horse Fair at Golega, Portugal and is a dressage Grand Prix horse, who was shown and did very well in the 2014 World Equestrian Garmes, as well as other major shows in the EU. Dam: APSL Haute Tantra CAL (Rumbero sire/Nordeste grandsire) foal. Born in June, 2016. Bay base/Grey color. Gorgeous up-headed foal, with amazing gaits. Will be 16+ hands, with fantastic gaits and conformation. APSL inscribed/IALHA registered. Advanced dressage (Grand Prix) or working equitation candidate. This is a great investment opportunity. Rio is almost two and ready to begin training. Marialva is very typy, with great conformation. Rio is a fantastic grand prix candidate and a horse for the serious amateur or the professional. 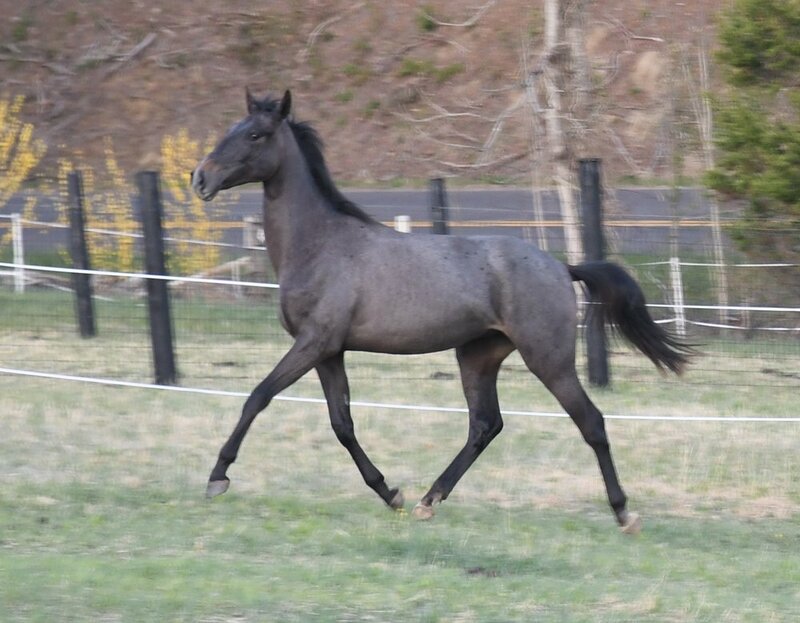 His gaits are fantastic and his trot has both lift and extension. His personality is friendly and trusting. Due to his fearless nature, he would be an exception working equitation prospect.